Since 2016, fans have been wondering what’s going to come of the anti-heroes that curled out of Suicide Squad. Was Jared Leto’s Joker going to run away with his own franchise? 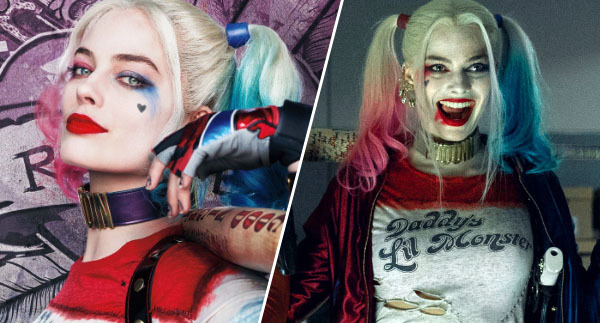 Would Margot Robbie’s Harley Quinn forever be chasing after him? Well, it turns out she’s one step ahead, and production is under way for Birds Of Prey – the first Harley Quinn film. Obviously not content with the tantalising sneak peeks of herself and Brad Pitt in Tarantino’s next movie Once Upon A Time In Hollywood, Robbie has taken to Instagram to share a shot of Harley Quinn’s getup, that will feature in Birds of Prey. Tarantino’s film is scheduled for release this July, and despite its dark themes – as with all Tarantino films – the pictures so far look the epitome of 1960s sun-kissed California. Meanwhile, Birds Of Prey won’t be out until February 2020, with Robbie also working behind-the-scenes as producer for the Gotham City-based film. Cathy Yan is directing the movie, and the studio have reportedly been testing actors to fill the roles of Black Canary and Huntress. Few details have been shared about the plot so far. However, Robbie spoke to Collider about her hopes for the character. Harley loves interacting with people, so don’t ever make her do a standalone film. She’s got to be with other people, it should be a girl gang. I wasn’t seeing enough girl gangs on screen, especially in the action space. So that was always a big part of it. Despite Suicide Squad‘s poor reviews, fans warmed to Robbie’s portrayal of Harley Quinn. Quinn is an infamous character in the DC Extended Universe – a psychologist who worked at Arkham Asylum, she became fascinated with the Joker while he was an inmate there. Falling in love with him and ultimately helping him escape, Quinn transforms herself from the mild-mannered doctor to the seductive anti-hero we know now. In September last year, it was also revealed which actors had been screen-tested to star opposite Robbie in Birds Of Prey, as Black Canary and Black Mask are both reported to be featuring in the DC film. So, will we see Robbie coming face to face with Mary Elizabeth Winstead, Gugu Mbatha-Raw, Margaret Qualley, Cristin Milioti or Jurnee Smolett-Bell?